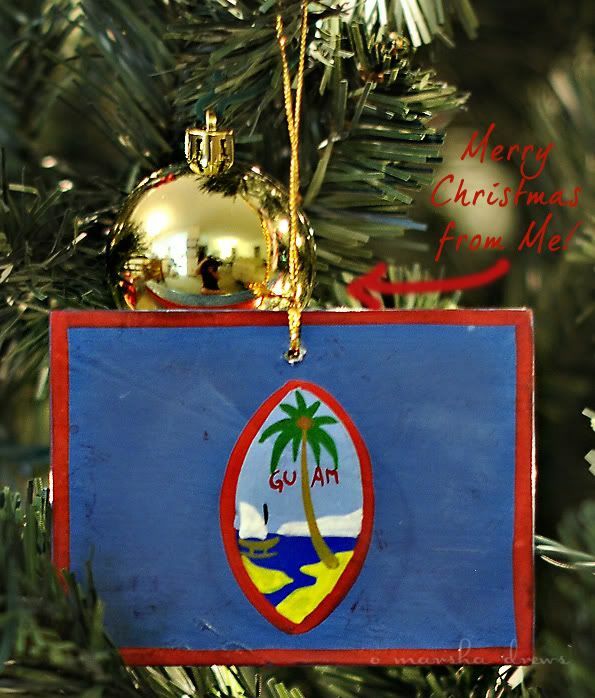 Other Such Happenings: Merry Christmas from Guam! 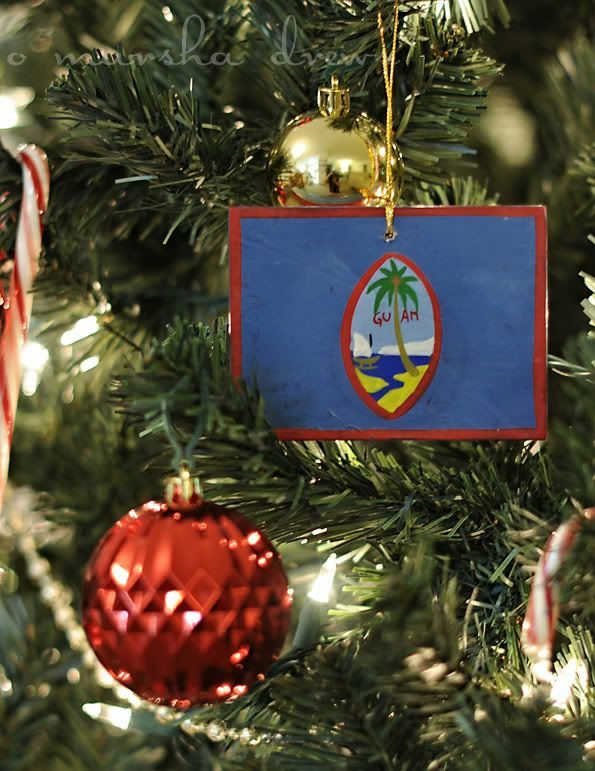 As we end our Christmas Day here in Guam, most of our family and friends are waking up to begin theirs. We had fun Saturday evening with friends and didn't end up opening gifts until we returned home at almost 11pm! Christmas program at church this morning and a quiet family day together. It has been rather uneventful and was probably the most low-key Christmas we have had in forever. Thank you for praying for us! 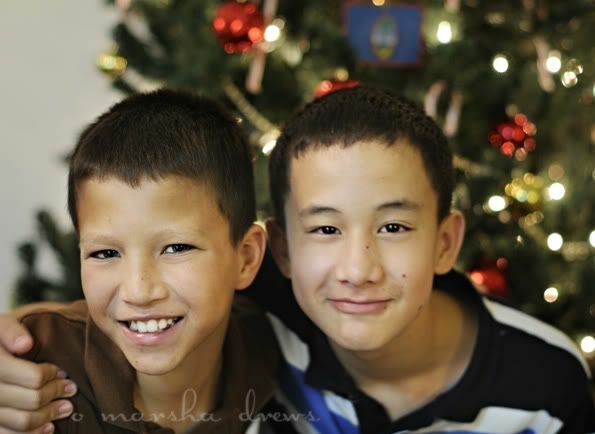 I only had one sobbing breakdown after Austin and Noah opened their gifts... It just went by too quickly and peacefully. I cherish their thank you's and hugs and kisses after each gift. And I wish that there was a rowdy 7yo blonde boy in the mix to liven things up and maybe cause a little trouble. The days leading up to this weekend were definitely more difficult than the weekend itself-- and for that I am thankful. We never stop missing Christian, but praise God that it has gotten a little less hard over time. Learning to live joyfully side by side with sorrow is indeed a gift and only possible through God's mercy and grace. I also want to ask you, dear friends, to please continue to pray for the Sims family as they mourn the loss of 4yo Josiah Courage, who passed away earlier this week. My heart is so heavy for them. The following excerpt from Streams in the Desert ministered greatly to my heart on our first Christmas without Christian. A few years ago a striking Christmas card was published, with the title, "If Christ had not come." It was founded upon our Savior's words, "If I had not come." The card represented a clergyman falling into a short sleep in his study on Christmas morning and dreaming of a world into which Jesus had never come. A ring at the doorbell, and a messenger asked him to visit a poor dying mother. He hastened with the weeping child and as he reached the home, he sat down and said, "I have something here that will comfort you." He opened his Bible to look for a familiar promise, but it ended at Malachi, and there was no gospel and no promise of hope and salvation, and he could only bow his head and weep with her in bitter despair. Two days afterward he stood beside her coffin and conducted the funeral service, but there was no message of consolation, no word of a glorious resurrection, no open heaven, but only "dust to dust, ashes to ashes," and one long eternal farewell. he realized at length that "He had not come" and burst into tears and bitter weeping in his sorrowful dream. Let us be glad and rejoice today, because "He has come." And let us remember the anunciation of the angel, "Behold I bring you good tidings of great joy, which shall be to all people, for unto you is born this day in the city of David a Savior, which is Christ the Lord" (Luke 2:10-11). Thank you, Lord, for coming down in humble form to give us a future and a HOPE! I love this..."Learning to live joyfully side by side with sorrow is indeed a gift and only possible through God's mercy and grace". We never stop missing our Madison either, and we are praying for Laura and her family. I love that picture of the boys! I'm glad to hear that you already have friends there to celebrate with. I know you probably missed your family. I think it's time for another Baby Bump picture...it's been ages since we've seen your cute bump!! I'm also learning to let sorrow live side by side with joy and I cannot navigate that balance without my Lord and Saviour Jesus Christ, who constantly gives me strength. Love you tons and get that Bump Pic up!! New fan from LWK! Awesome interview! Hope you and the baby are doing well!! New fan from LWK! That was an awesome interview! I hope you and baby are doing well! Just came over from your interview at Becky's blog! Thanks for sharing your story and your gorgeous photos. Praying for a beautiful arrival! How beautiful! I will be praying for your friends as they begin this new journey. Praying for you as you give birth to your new one. Tell me what you guys are doing there!!! Would love to be a part of your mission. So glad I found you again. I've been checking your blog for news....hope all is well on your side of the world! Take care!